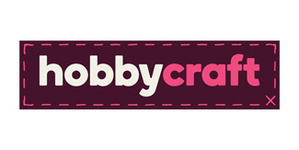 If you haven&apos;t already experienced Hobbycraft, prepare to be amazed! With more than 35,000 arts & crafts products for 250 inspirational activities, you&apos;ll discover everything you need to get crafty. Craft products include: Art materials, kids crafts, homecrafts, baking, paper crafts, knit and stitch, jewellery making and so much more!